You are here: Home / Jewelry / Bracelets / Jewelry gift guide: $100 – $250. Jewelry gift guide: $100 – $250. Good morning, sunshines. Are you ready for some slightly finer bling? This price range tends to be my own personal downfall more often than any other. These beauties all fall into my “yes, it’s a large purchase, but I deserve a treat!” range. They add up quickly, though, as my bank account could tell you. Any of these would make a lovely gift – at this price range we really start to get a little bolder and more unique. And colorful! To revisit the jewelry gift guide for another price range, please click here: under $50, $50–$100. 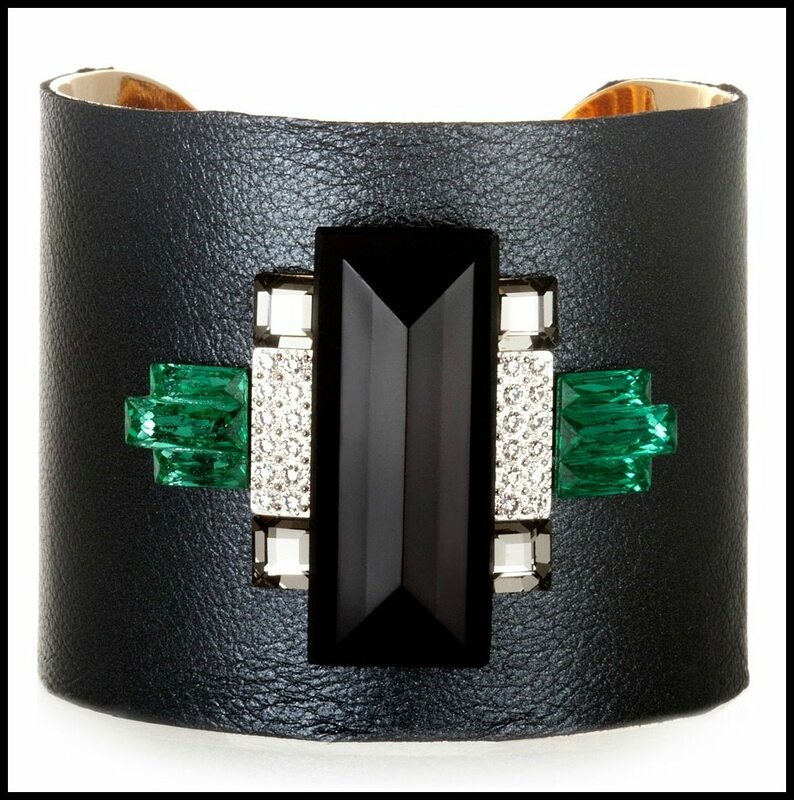 Sandy Hyun Black Leather Cuff ($120). This goes perfectly with a pair of earrings we saw yesterday. 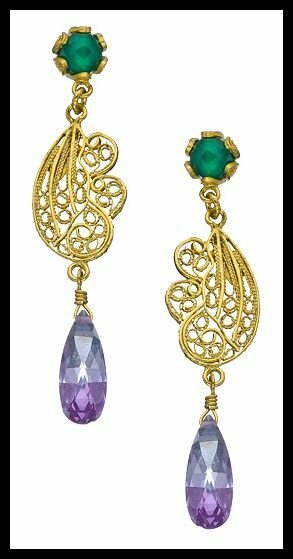 Yvone Christa Green Onyx Filigree Drop Earrings ($225). 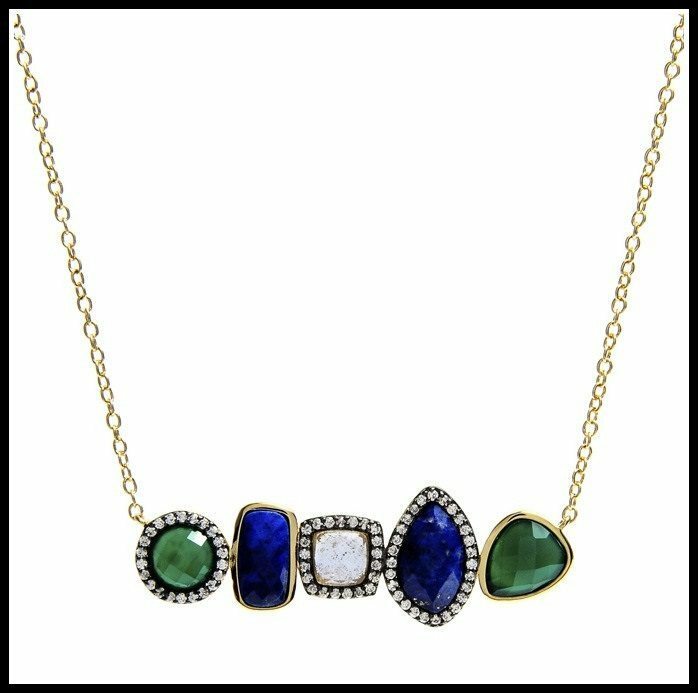 Marcia Moran Lapis and Green Agate Necklace ($225). 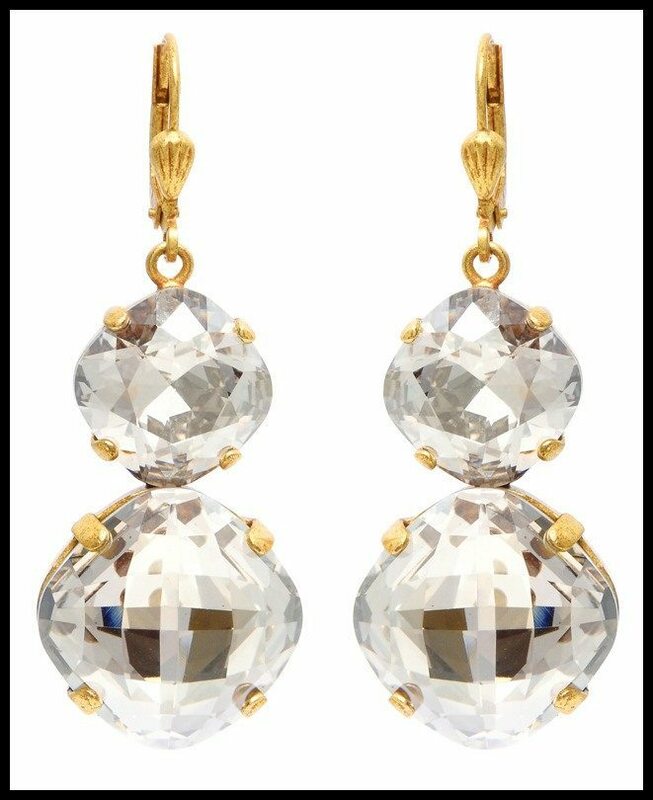 La Vie Parisienne Double Drop Crystal Earrings ($115). Kendra Scott Ginger Statement Necklace in Bright Red ($195). Kara by Kara Ross 4 Piece Hexagon Earrings – Black Splatter ($175). Marcia Moran Geometric Green Onyx Earrings ($210). These babies pack a serious punch of color and style. Alexis Bittar ‘Miss Havisham – Bel Air’ Twisted Bangle ($150). 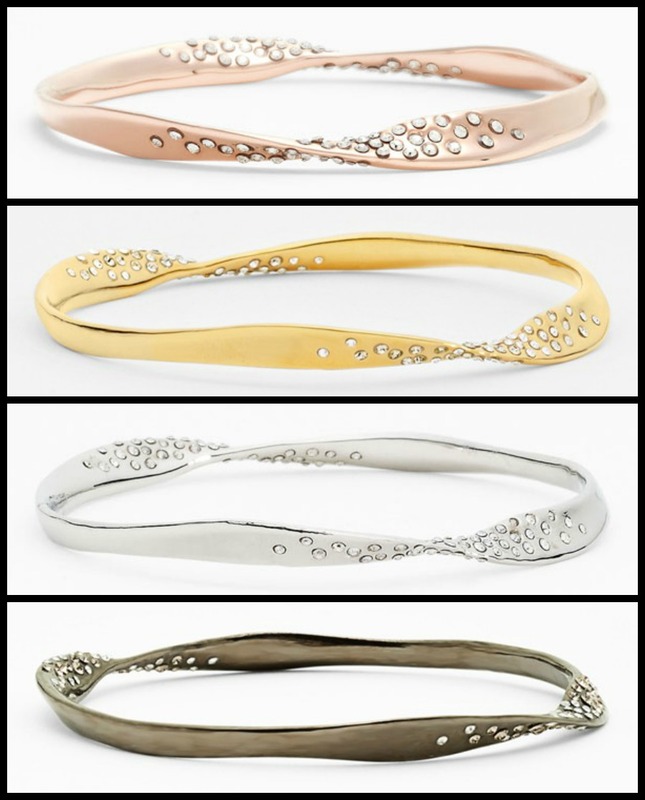 These bangles are a beautiful staple that go with anything. They’d be wonderful in a stack if you want to make it a larger gift. Lulu Frost for J.Crew harvest moon earrings ($115).